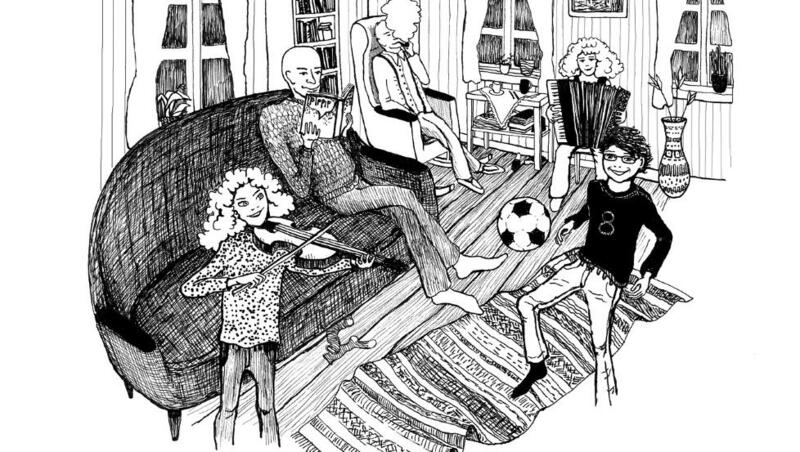 The Kråkestup family resembles children’s books from Anne Cath. Vestly, Roald Dahl and Astrid Lindgren. The Kråkestup (Crow Dive) family lives in a small, dilapidated house on the wrong side of Berget (The Hill). The house is crowded with things, and it is always noisy and cluttered. 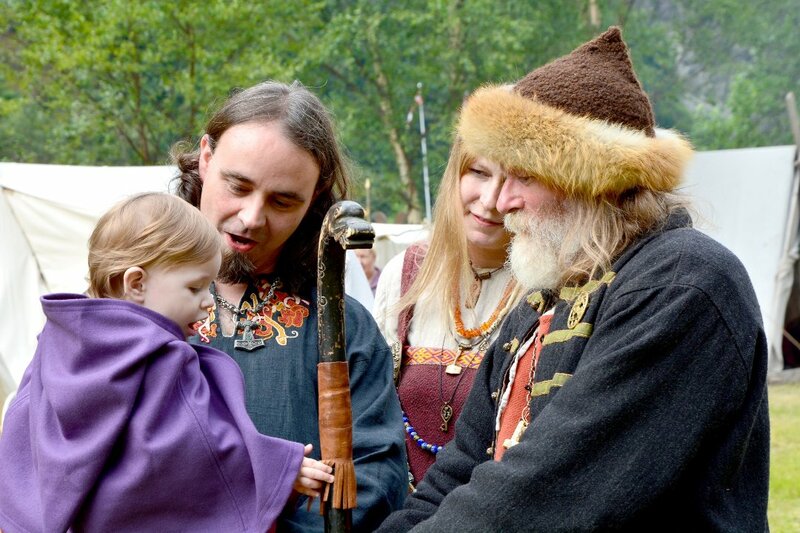 The residents are: Mom, who always burns the fish soup, Dad who has a complete bird collection which he is planning to exhibit at the Really Spectacular and some Totally Ordinary Animals and Birds Exhibition, old Uncle Sigurd, who is not an uncle at all, and three sets of twins. The two youngest twins, Lykke and Stjerne (Happiness and Star), are third graders, and they are two really nosy kids. Every day, they spy on the mysterious house next door, which has been abandoned for several years. One day, they see a gigantic shadow inside the house and they hear a dreadful sneeze. The last set of twins I read about was the Bobbsey Twins. 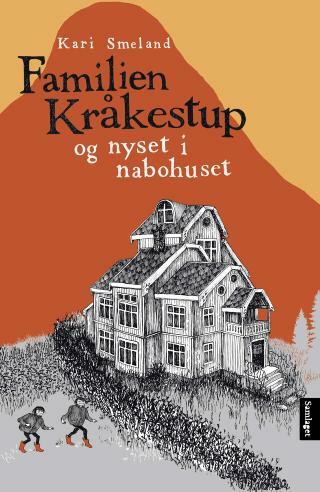 However, that is the only resemblance between those books and Kari Smeland’s amazing children’s book debut about the eccentric Kråkestup family. On the outside, it reminds me a little about Anne Cath. Vestly’s book series Mormor og de åtte ungene (Eight Children). But the inner tone, the absurdity and raw humor has elements from Roald Dahl and Astrid Lindgren, the latter mostly because of the simple and humorous black/white drawings. The story’s incredible energy follows you from the first page to the last. We get hear about the angry teacher Bertil, who is red as a tomato and chubby like a sausage. About the miserable teacher Karl Olsen, thin as a pencil and with a very thick mustache. And about big brother Fritz, who is in love with Bodil who has the world’s biggest nose. Bodil loose her front teeth when she dances with Fritz. The two twins think that was her luck because then people would not notice her gigantic nose. The thousands of funny ponds and linguistic ‘jumps’ could have made the book divergent and frivolous, but the mystery Smeland has created keeps the story straight. Uncle Sigurd tells that the mysterious house next door was abandoned several years ago. The family who used to live there eventually turned insane. Their cookies were always terrible, and the dad used to wander around all night looking for things that did not exist. Uncle Sigurd smokes the pipe. You are going to die, Dad says. “Well, then a good friend of mine will kill me”, uncle Sigurd answers calmly, and continues to smoke his pipe “which has survived several wars, a number of anti-smoking campaigns and many horrific nature catastrophes”. Let us hope this is not the last time we hear about the unconventional Kråkestup family. About the author: Kari Smeland is born in 1984 in Kviteseid, Telemark County. She now lives in Oslo. She has studied History and Social Science at the University of Oslo, and now she works as a librarian. Familien Kråkestup og nyset i nabohuset is her debut novel. Review by Cathrine Krøger for Dagbladet.